Want to know what I just can't stop eating lately? Well then, you've come to the right place. It's these shishito peppers. No, really. I'm OBSESSED with them. I mean, I was already obsessed with shishito peppers to begin with, but adding lemon ginger aoili and cashews takes them to a whole other level that I really can't resist. With Cinco de Mayo less than a month away, I figured now was as good a time as any to share this recipe. 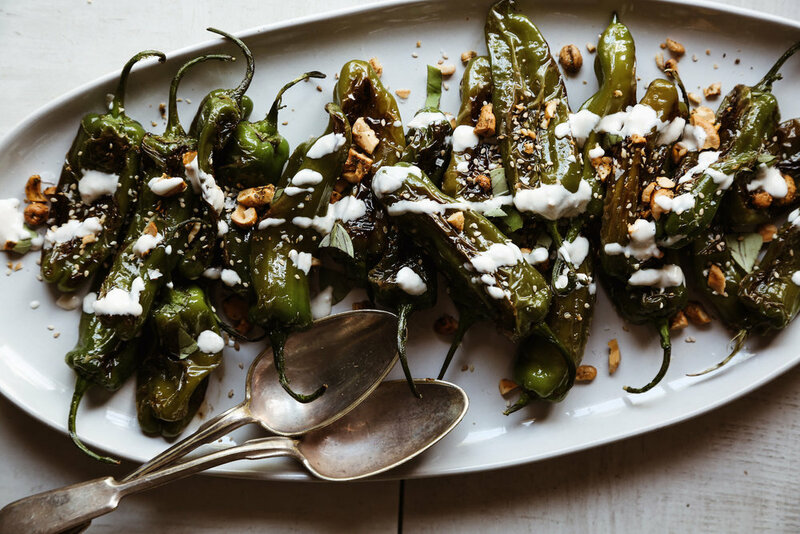 While the peppers are more of a Japanese dish than Mexican, I find they pair perfectly with both kinds of cuisine, and especially well with margaritas (Hint, hint ;D). In a large cast iron skillet set over medium-high heat, add the sesame oil and peppers. Sprinkle with sea salt then toss to combine. Cook for 12-15 minutes, stirring occasionally, until peppers are slightly browned and blistered. 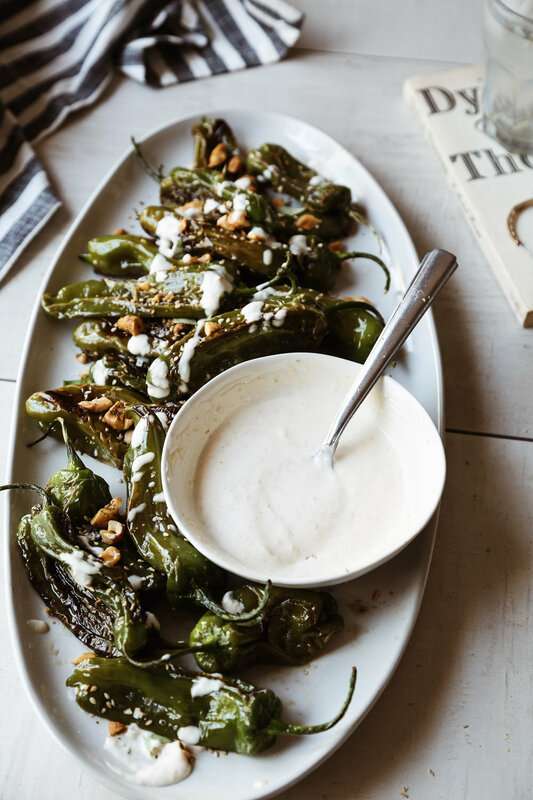 While the peppers are cooking, add the mayonnaise, lemon juice and ginger to a small bowl. Stir to combine. Remove the peppers to a serving platter. Squeeze a little lemon juice on top, then sprinkle with sesame seeds, chopped cashews, sea salt flakes, basil and drizzle with the lemon ginger aoili. Serve with remaining aoili on the side (for dipping).